From the time we were little, whenever we went to a birthday party or large function of some sort, we were given a “thank you” for coming, otherwise known as a party favor. In my 41 years, I’ve been to many showers, weddings, etc.…and I can tell you that, unless it was edible, maybe once did I actually have a use for a party favor. So, all of the time and money that the host/hostess spent on this little trinket to remember their date is eventually, if not immediately, put in the trash. So, this is where Customized Photo Strips would be AWESOME!! An average wedding these days starts at about 120 to 150 guests. Say you decide that spending about $1 - $2 is sufficient for party favors. That’s a total of anywhere from $120 - $300 plus the time to put them together, put any additional tags or stickers on them, etc. What is your time worth when preparing for a wedding? The brides I’ve talked to say that they value any extra minute of down time they can get. So why not skip the useless favors like the almonds wrapped in tulle with a little note, ceramic tchotchkes, magnets, candles, personalized CD’s and picture frames and give your guests a memory that they will actually cherish? Why not a Customized Photo Strip with your information on it. Not only do they have fun pictures, they also remember your wedding! You don't have to lift a finger- If you are considering a reputable Photo Booth Company they will come, set up, have an on-site attendant for the entire party and take it down without you having to worrying about doing anything which will leave you more time to focus on other things…like having a good time! It provides entertainment for your guests- Half, if not more, of your guests are family that doesn’t get to see each other very often. 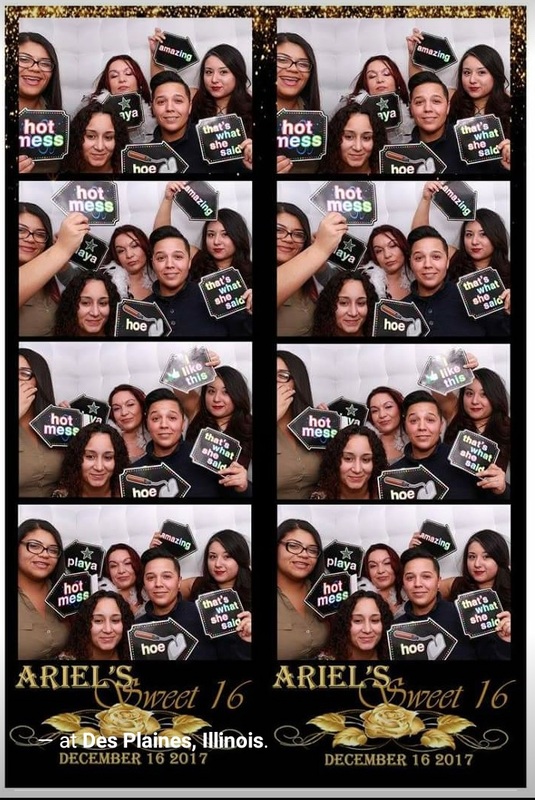 Why not give them the opportunity to get together, have fun and be silly together at your event taking pictures in a Photo Booth? And again, with a Customized Photo Strip, they will be talking about your wedding for years because the picture will serve as a reminder of the fun they had. It caters to all ages- Young and Old; both children and adults love to have fun and take pictures! Premium Props and funny signs help people let loose, well, so does alcohol…but the memories will be around for years! Photo strips make great gifts for your guests! Okay, so unless your favor is functional or edible it’s probably going to get thrown out, which means that you might potentially be throwing away of up to if not more than $300 on them plus the time of picking them out and putting them together. But Photo Strips will be on refrigerators, hung up in office cubicles and can serve as a great reminder of the good times they had at your event. Still, some of you might be thinking…well, I’m getting a Photographer, why do I need a Photo Booth? The Photographer is for YOU; to capture your moments, get a glimpse of what you might miss throughout the day. But, a Photo Booth is for your guests. How many of your guests are really going to see any of the pictures from your photographer? With the Customized Photo Strips, your guests are going to put them on their fridge, on their bulletin boards, take them to work and put them in their cubicles. They will always remember your event…and even the little ones will have something to look back on as they grow up! Want a custom quote from us? Call 708-903-2176 . I look forward to hearing from you.